Feeling dizzy when you stand up, having a tendency to faint and severe fatigue are just a few of the many possible symptoms of dysautonomia. Dr. Schofield at the Center for Multisystem Disease is a leading expert in dysautonomia and other multisystem diseases. She has an interest in evaluating dysautonomia patients for underlying causes that may be treatable, leading to an improvement in your outcome. To learn more about dysautonomia or to schedule an appointment, call the office in Denver or book an appointment online. Your autonomic nervous system is extensive, traveling from your brain to the spinal cord and finally--by way of the small fiber autonomic nerves-- out to every organ, gland, and blood vessel in your body. What conditions fall under dysautonomia? Dysautonomia may be a primary disease, or it can develop due to another medical condition such as diabetes, vitamin deficiencies or immune-mediated disorders such as mast cell activation syndrome, antiphospholipid syndrome, Sjӧgren’s syndrome, and celiac disease. One of the most common types of dysautonomia is postural orthostatic tachycardia. It’s estimated that POTS affects 1 of every 100 teens. Teens and adults together add up to 1 million to 3 million Americans diagnosed with POTS. POTS is a type of orthostatic intolerance, which means that blood is not flowing adequately to all the places it needs to when you’re in an upright position. When patients with POTS stand up, their heart rate accelerates excessively. They also have unusually rapid increases and decreased in blood pressure and heart rate, which contributes to the many symptoms patients with POTS experience. What symptoms will I develop? Because the autonomic nervous system regulates so many different bodily functions, when the system is not functioning properly, affected patients experience a wide variety of symptoms. Some patients have mild symptoms and can continue to participate in everyday activities. Others develop such severe symptoms that they struggle to get through the day or even get out of bed. At least 25% of patients with POTS are unable to work or go to school. More severely affected patients, may require medications that help compensate for the autonomic dysfunction. A subset of patients with severe dysautonomia and evidence for autoimmunity, may benefit from treatments that target the immune system, such as intravenous immunoglobulin (IVIG) or rituximab. There are a number of other underlying causes that may be causing autonomic dysfunction. If one or more of these conditions is identified, other treatments may be recommended. 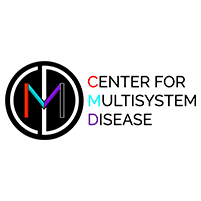 To schedule a comprehensive evaluation of your symptoms and history to determine which treatments might benefit you most, call the Center for Multisystem Disease or book an appointment online.